Rock Bottom has Tour Edge drivers new for 99. An r flex 12 degree would do just fine. If you hit your 8 145 and your looking for 155 just go 7 iron. Actually it’s a take off of the Spaulding executive, Hogan Magnum low profile designs. Very easy to hit. I think your wrong. You must buy into the mechanical robotic school of golf. Putting is like pitching penny’s. It’s 90 percent feel. I putt with an open stance, thin grip that I can feel in my fingers, short back stroke and take the clubhead to the line. I use an 8802 style putter that lets me hit with the toe on super fast downhillers. It’s all about imagination and touch. The one thing you should do is make sure you have a fairly modern titanium driver. The Pings are as forgiving as anything else. There is no forgiving chart that is etched in stone. tinker replied to Hncjc's topic in Balls, Carts/Bags, Apparel, Gear, Etc. 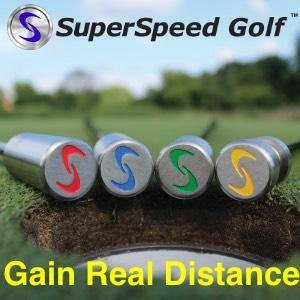 I found that with my 92-95 mph driver speed pro v1 is about the shortest ball I have played. I hit my best drives with Wilson Duo soft. I don’t have much use for hybrids. For just advancing the ball on a par 5 they’re ok as long as the dead left shot doesn’t sneak in. I can fade an iron shot but it seems pretty hard to slice an iron. Irons allow shotmaking. I rarely hit a full blown “as hard as I can” iron shot. I’d stay away from used and e bay. A lot of the stuff has been jimmied up by owner . You can get a nice tour edge combo hybrid iron set at Rock Bottom Golf for around 300. Find a 79 dollar driver and your good to go. Don’t worry about brand names. They don’t work any better.